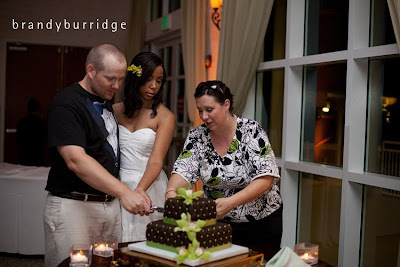 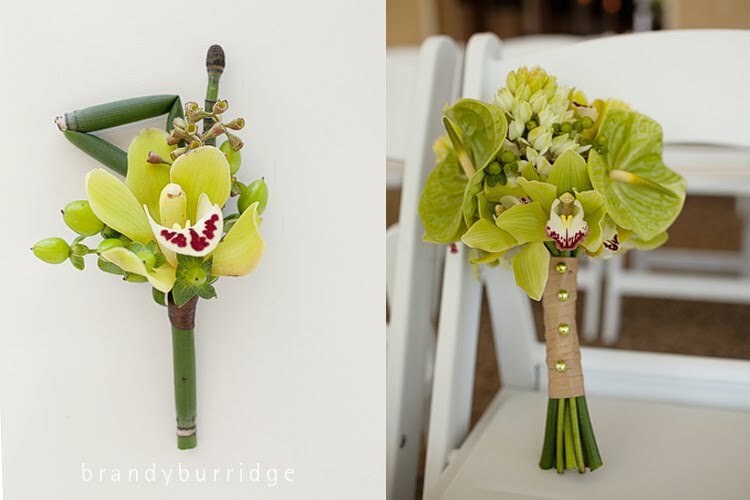 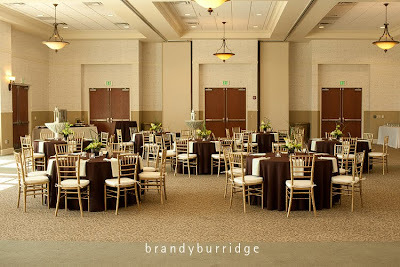 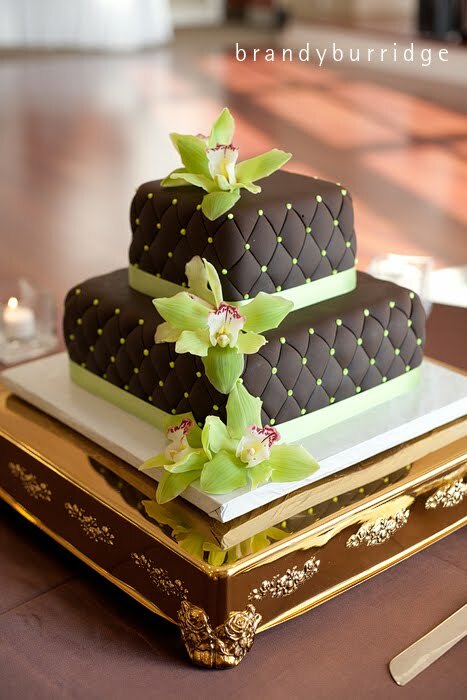 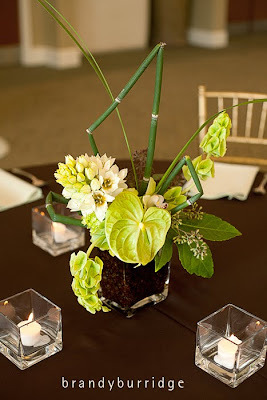 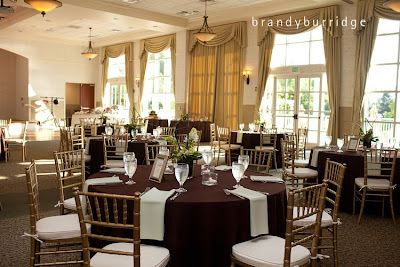 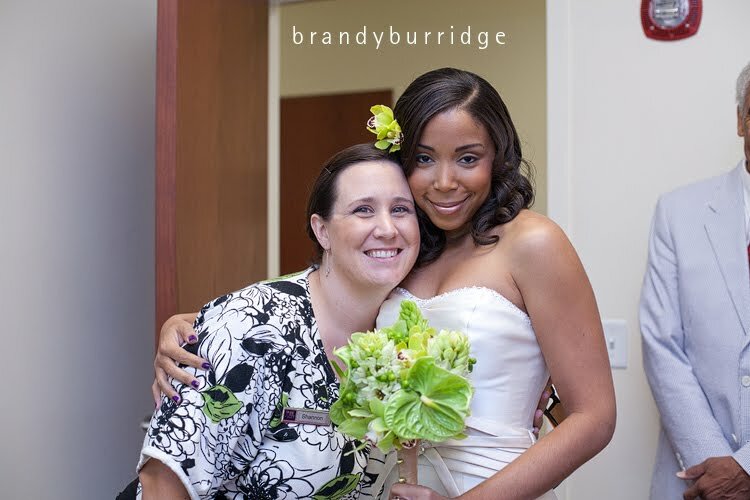 The beautiful couple was married on June 3, 2011 at the Lake Mary Events Center! 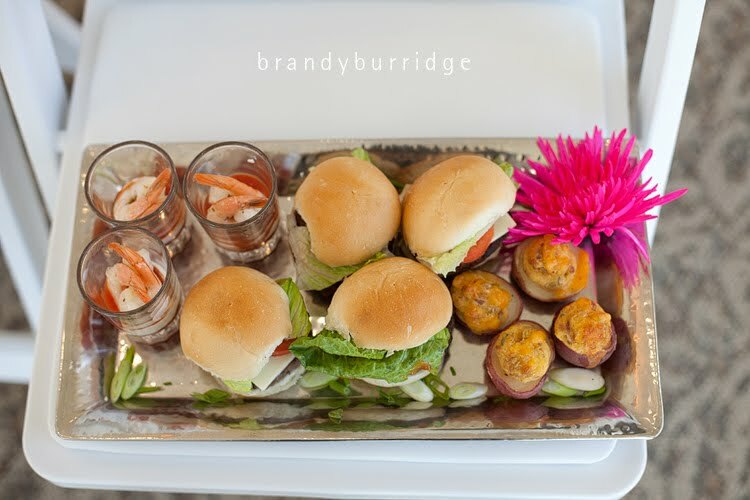 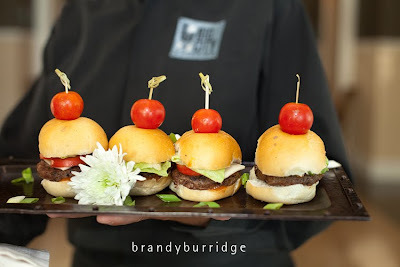 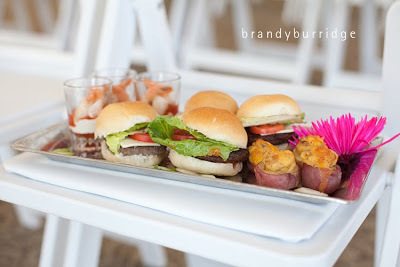 Mini Beef Cheeseburgers served on bite-sized Buns with Lettuce, Tomato and a Dollop of Secret Sauce. 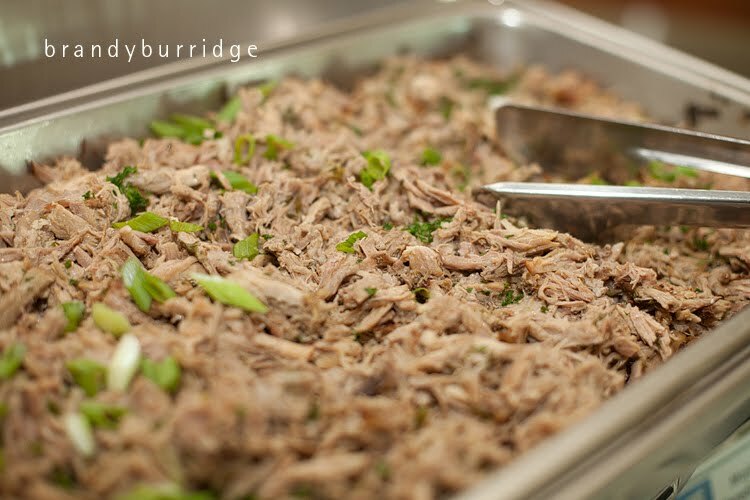 Tender shredded Pork Loin marinated in Key Lime Mojo then fire-roasted until tender. 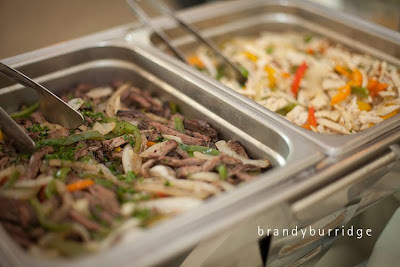 Served with Fried Plantains, Yellow Rice with Red Beans and sliced Sweet Yeast Rolls for sandwiches. A Selection of Marinated Skirt Steak and Grilled Chicken, Peppers, Onions, Shredded Cheese, Sour Cream, Salsa and Warm Flour Tortillas. 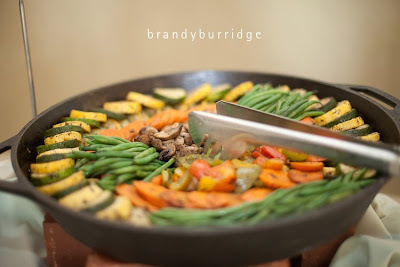 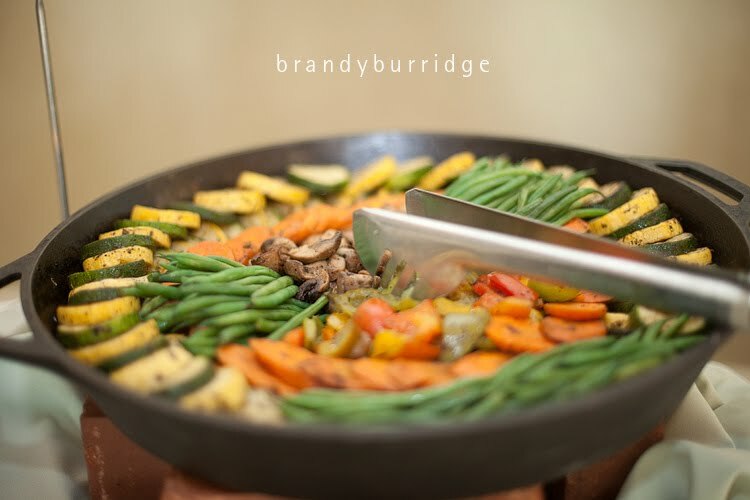 Served with Cast Iron Hot Grilled and Roasted Vegetables. 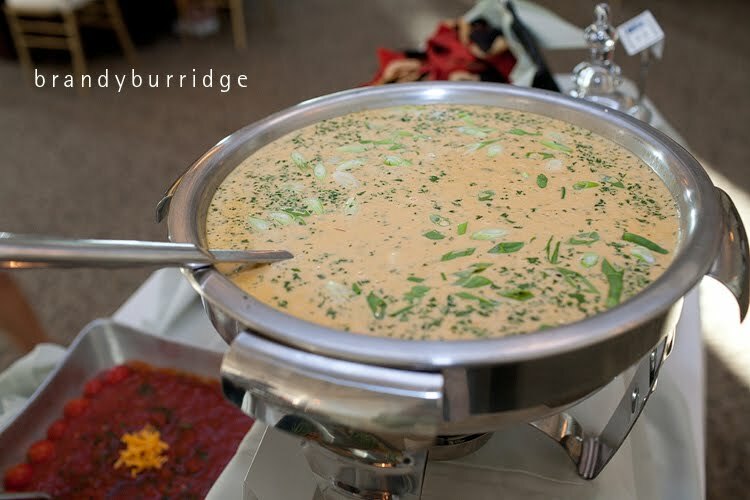 Con Queso – A Blend of Cheeses and Fresh Salsa cooked into a creamy Fondue. 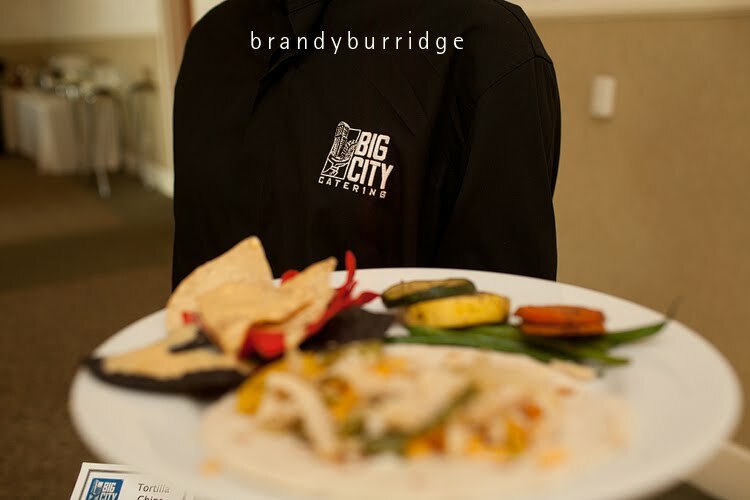 Served with Fresh Homemade Salsa on the Side and Homemade Nacho Chips. 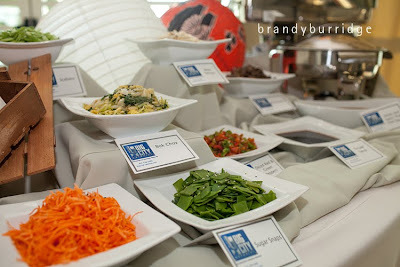 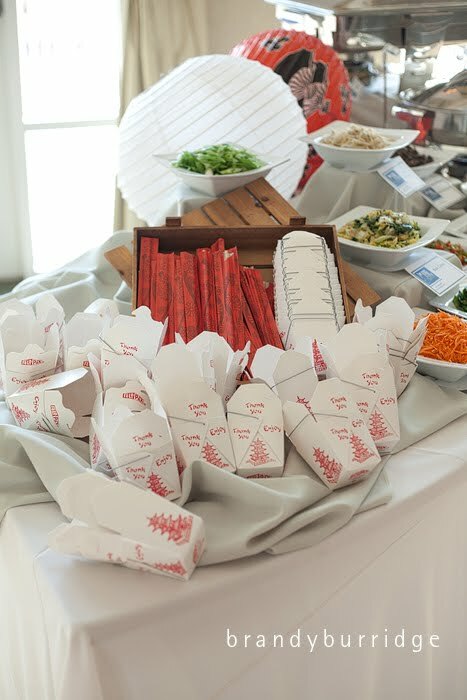 A Fun and Interactive Station as our Chefs from the Far East tempt your taste buds with Asian Fare including both Lo Mein and Sticky Rice with Baby Shrimp. Add to Your Choice of Noodles or Rice such options as Shredded Carrots, Mushrooms, Diced Red & Green Peppers, Scallions, Sugar Snaps, Bean Sprouts, & Bok Choy. 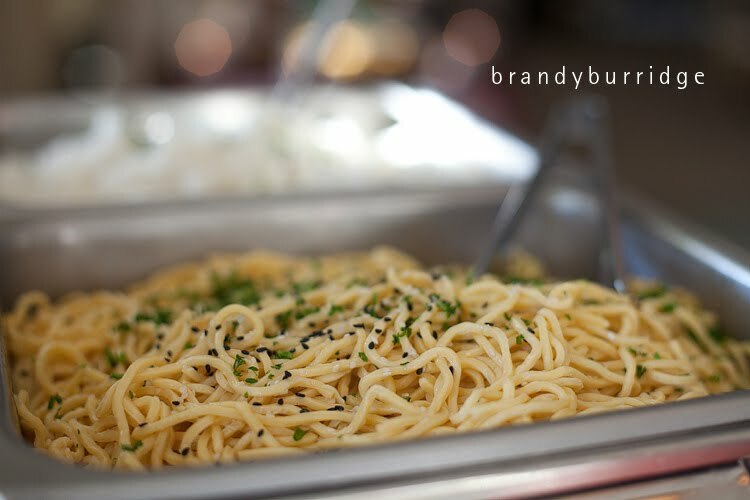 Served with Teriyaki and Sweet and Spicy Thai Chili Sauces and presented in your own Asian To-Go.